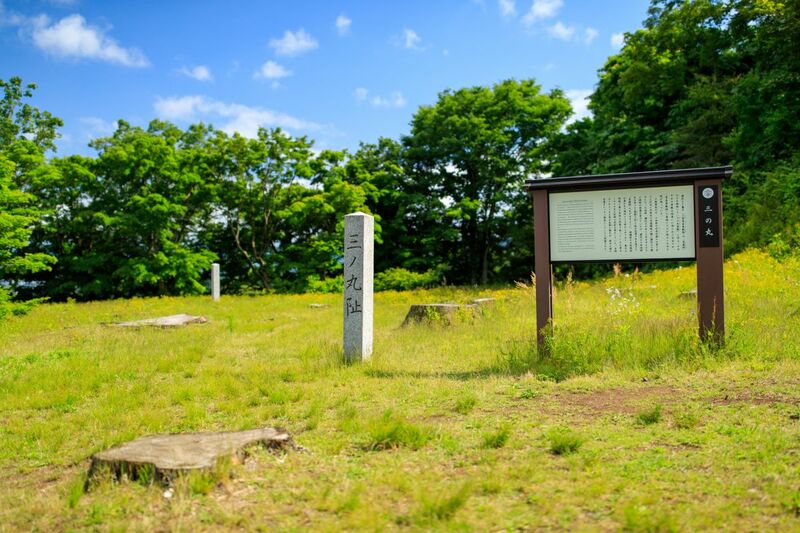 Kasugayama Castle Ruins are known as the site of the former castle of one of the most famous warriors of the Warring States period, Uesugi Kenshin. 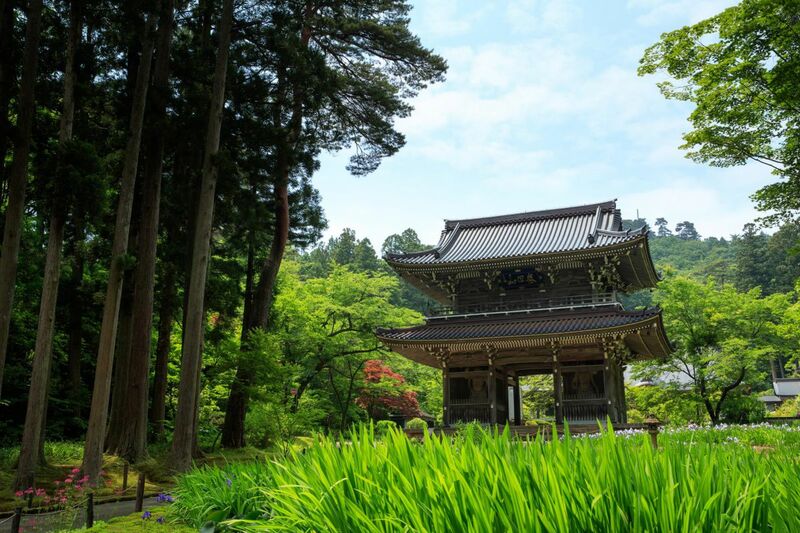 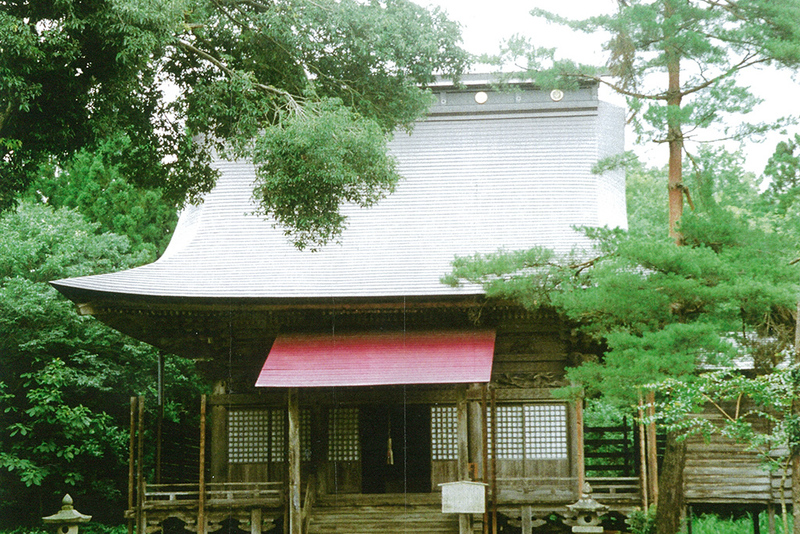 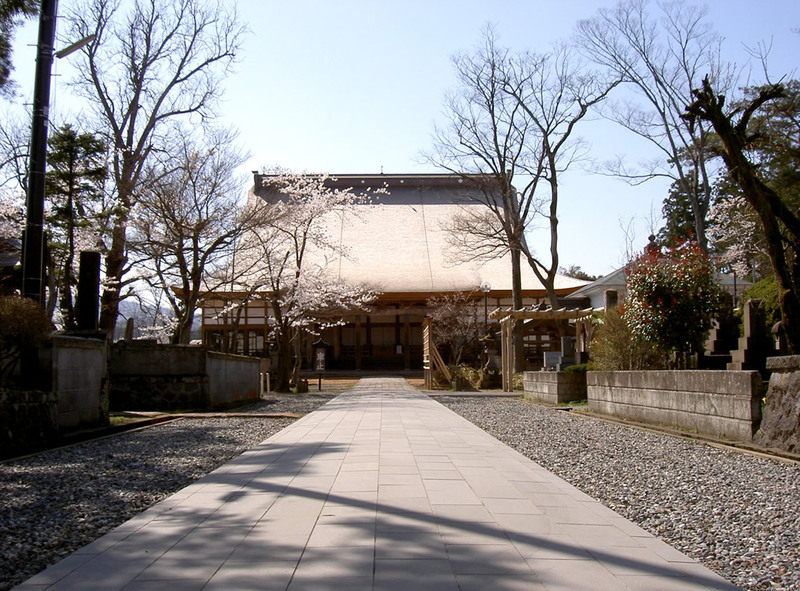 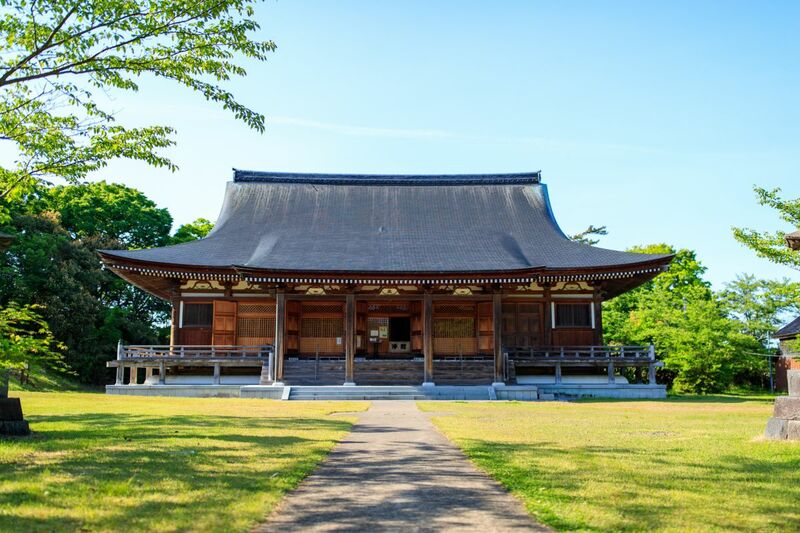 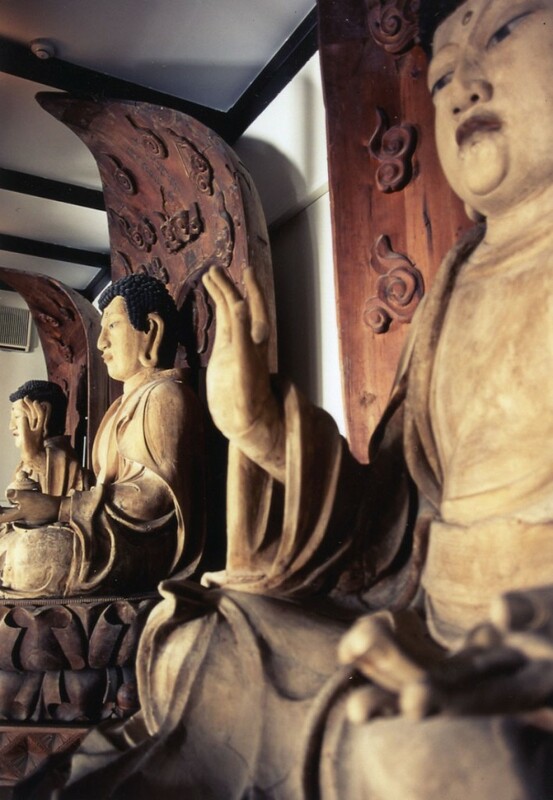 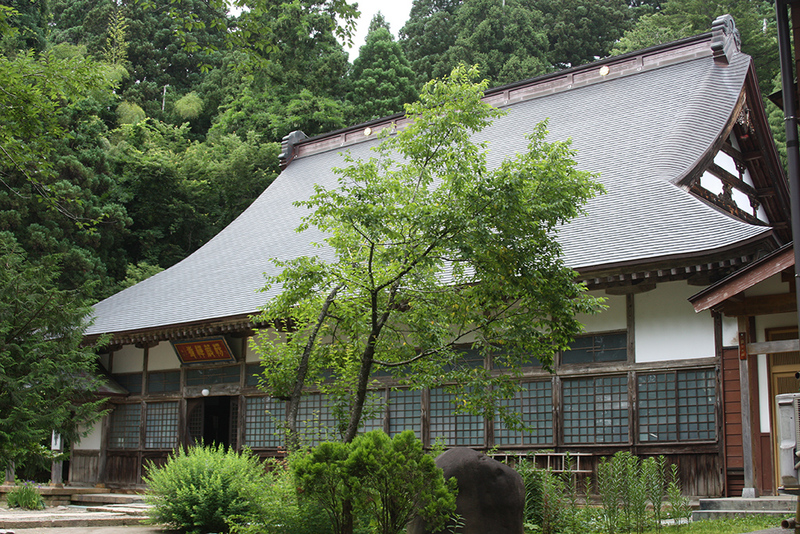 It has been designated as a national historic site and is also counted as one of Japan's 100 famous castles. 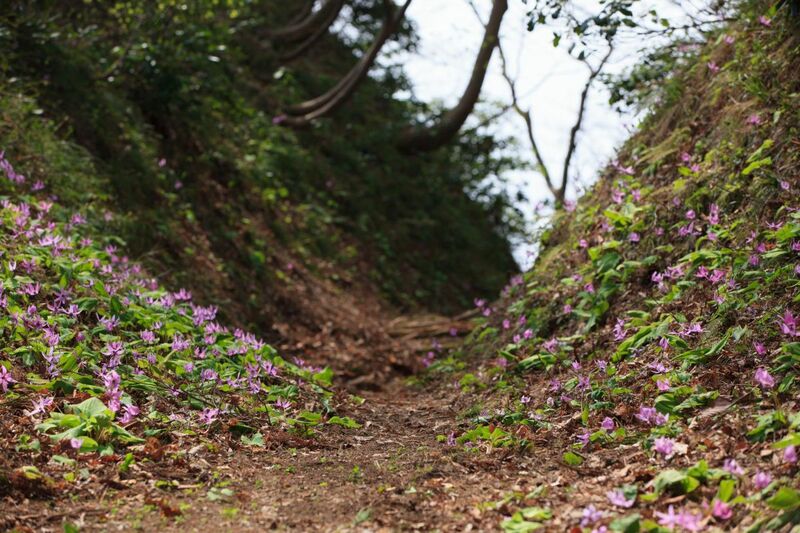 Dates of construction for the castle are unclear, though it appears to have already existed during the Nanbokucho Era, some 600 years ago. 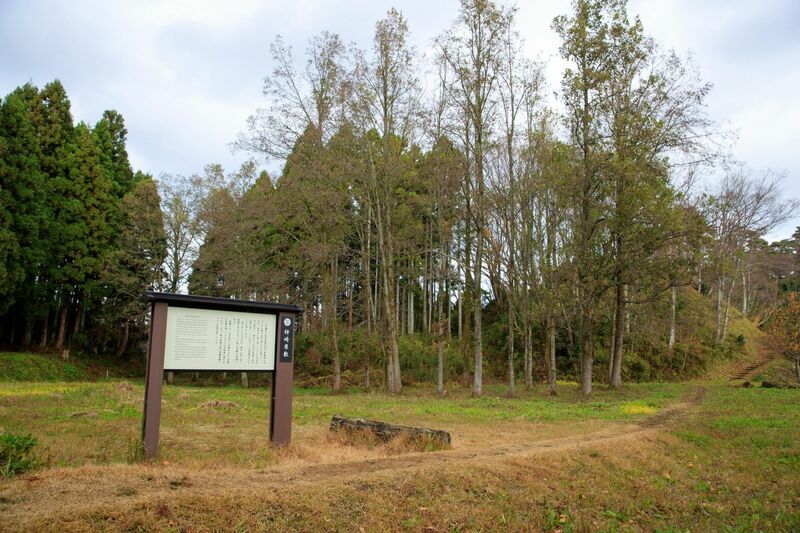 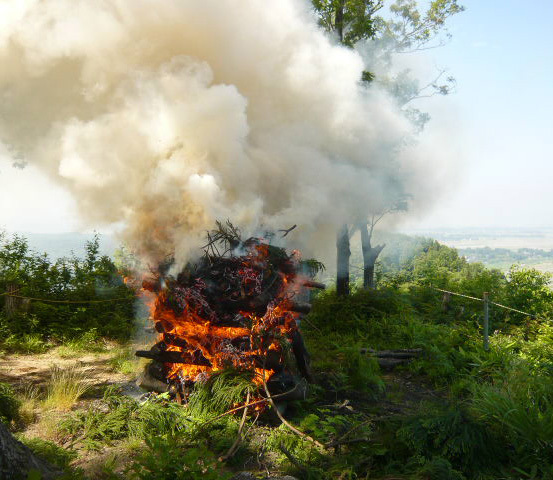 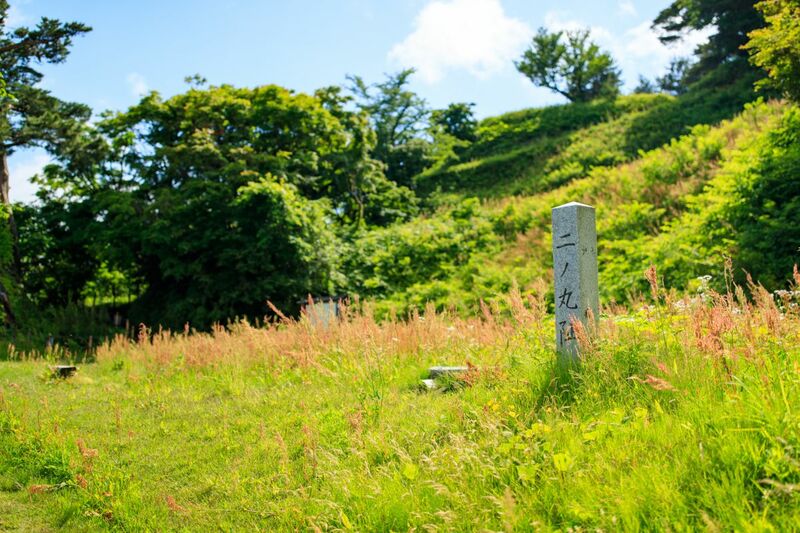 However, the remains of the vast castle as seen today came later, and is thought to be due to the work of Uesugi Kenshin, Kagekatsu, and the Hori clan. 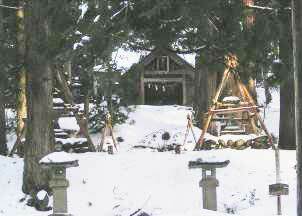 The kanji character for castle is written with two elements, "earth," and "becoming." 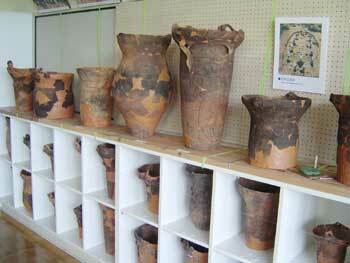 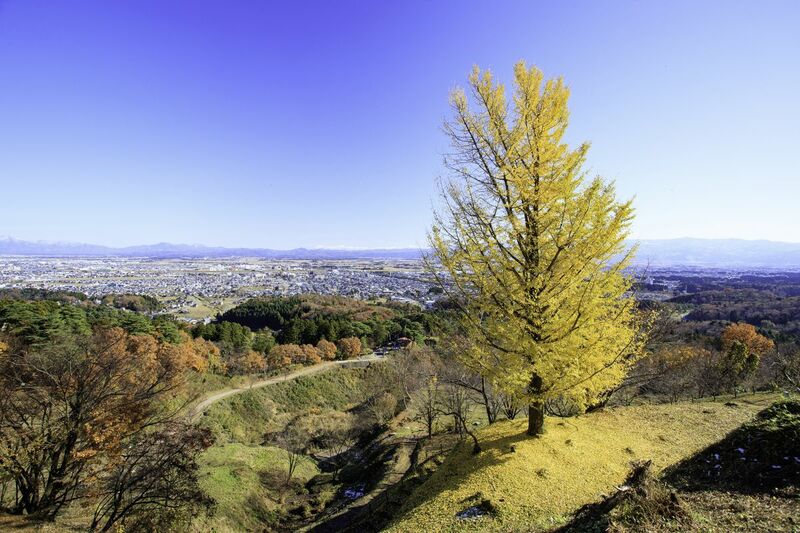 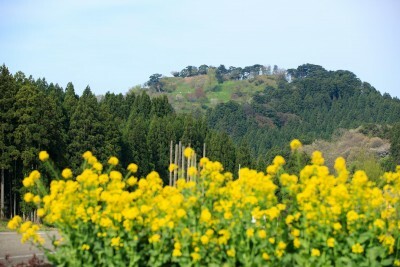 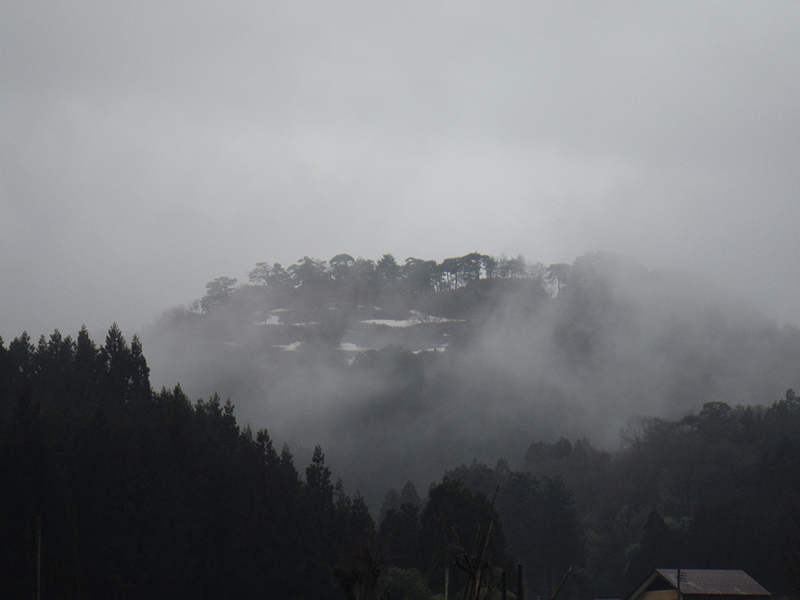 As such, Kasugayama Castle is truly an earthen castle. 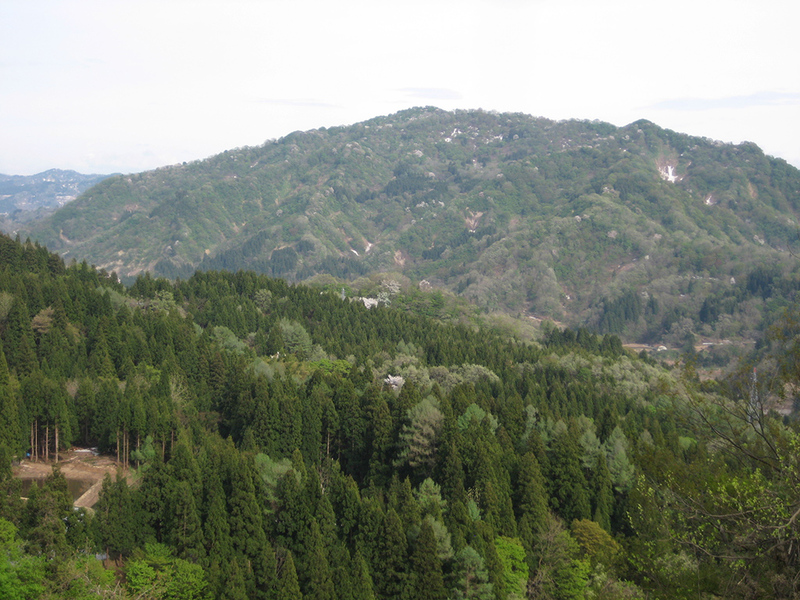 By skillfully using the complex topography of the land, the strong citadel was well known throughout Japan for being inpregnable. 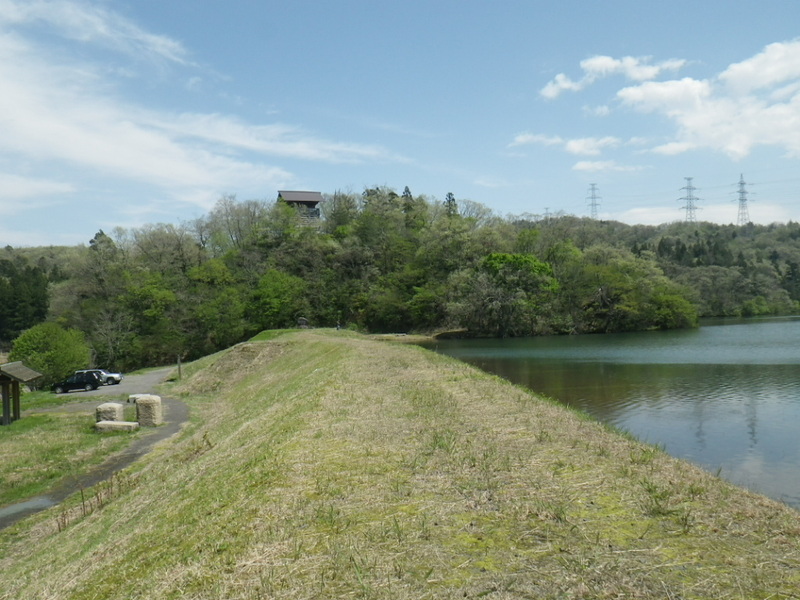 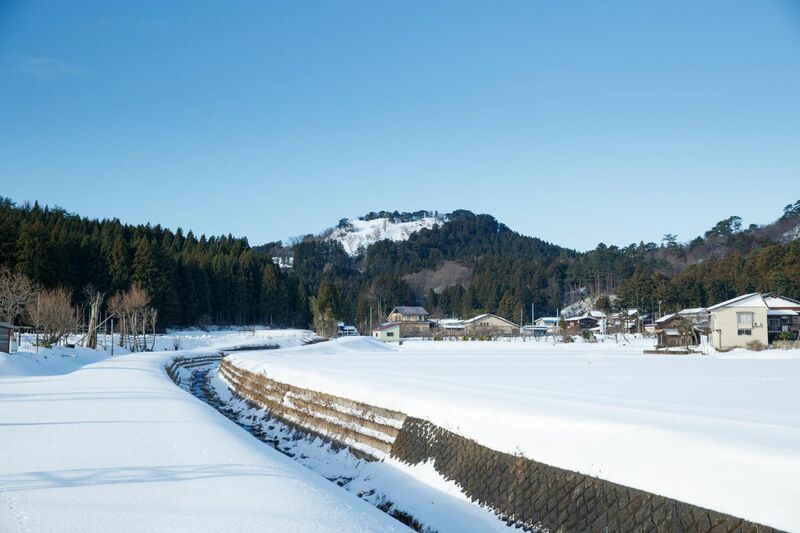 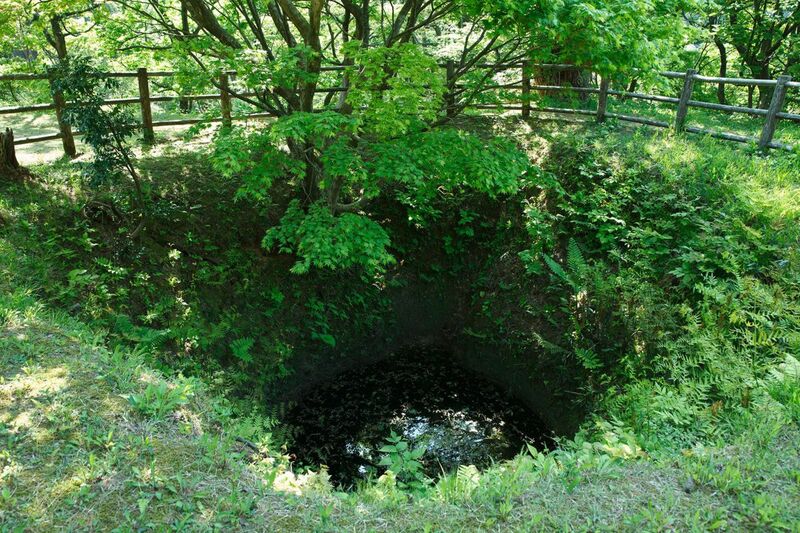 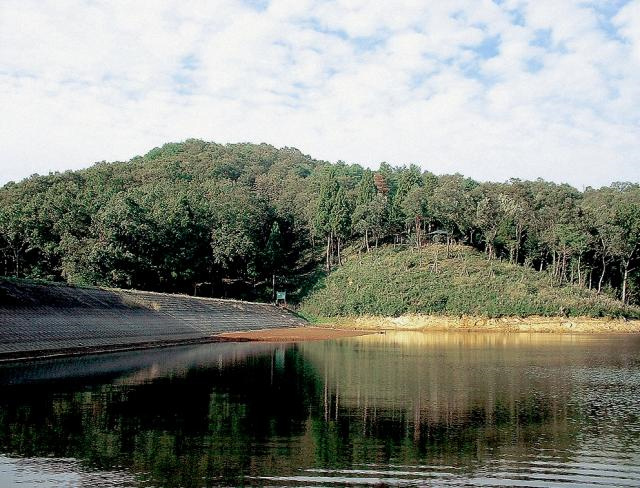 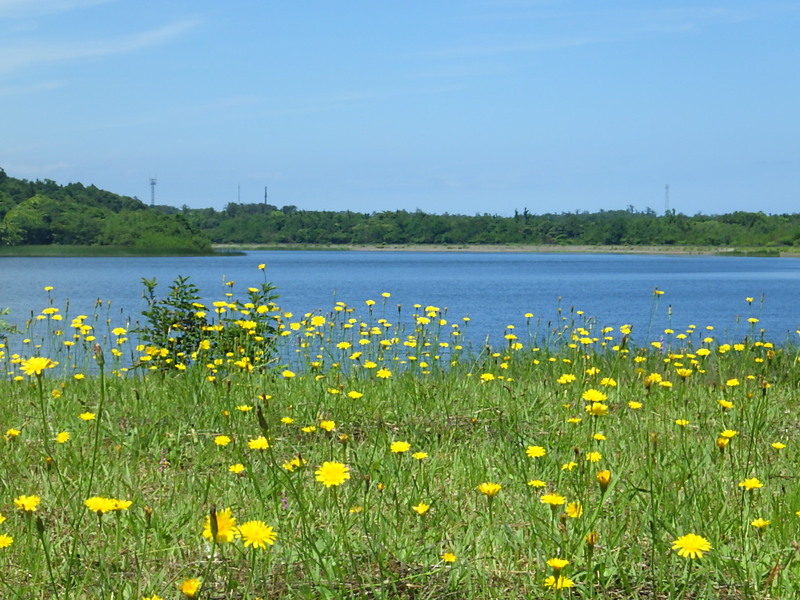 Even now, features such as the "Karabori" (empty moat carved by digging ridges in the soil), "Dorui" (embankments built up around the castle) and a "Oido" (great well) remain to be seen. 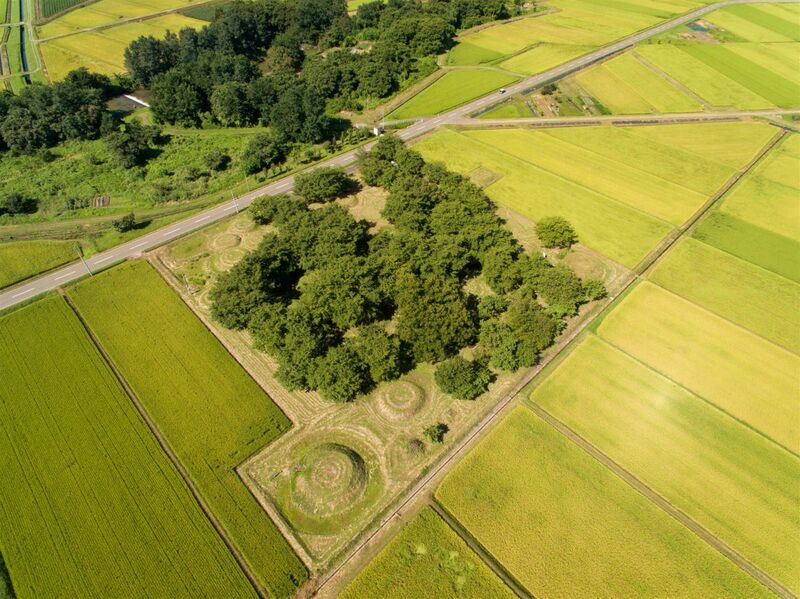 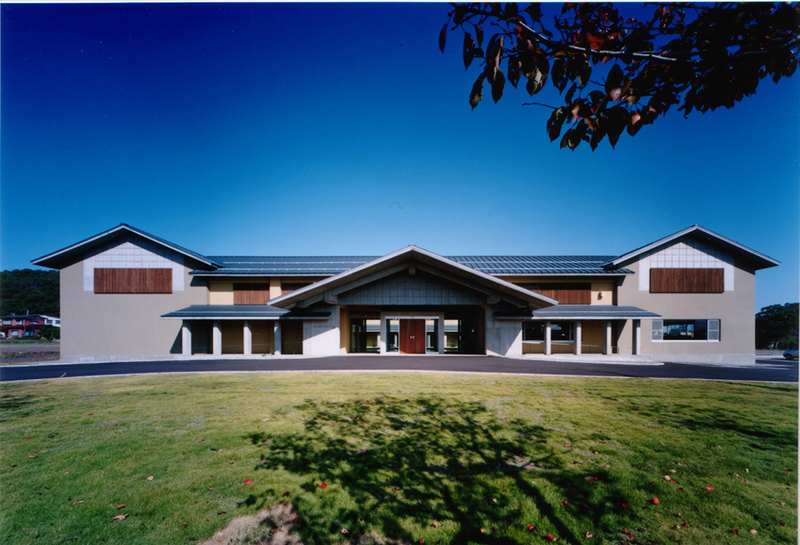 Another major feature is the "Sougamae," a Japanese castle structure which surrounds the outer base for protection. 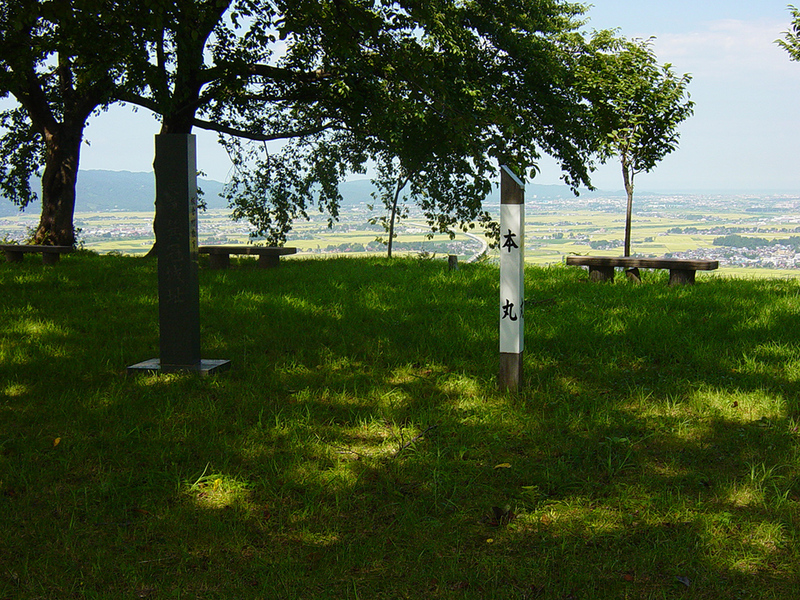 At the foot of the mountain where the residences and empty moats were built, it extends some 1.2 kilometers around the castle. 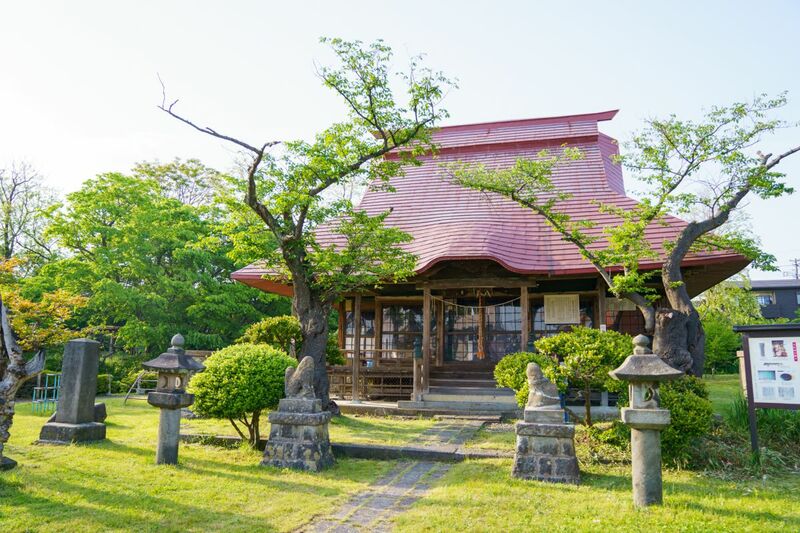 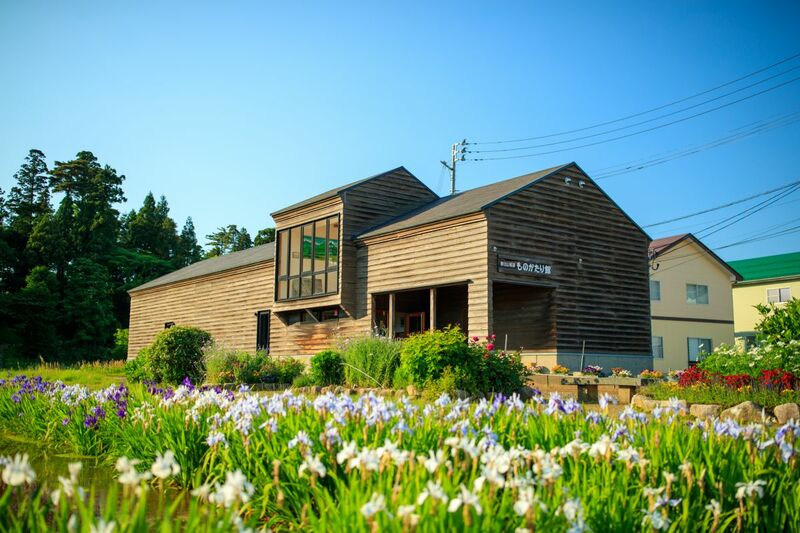 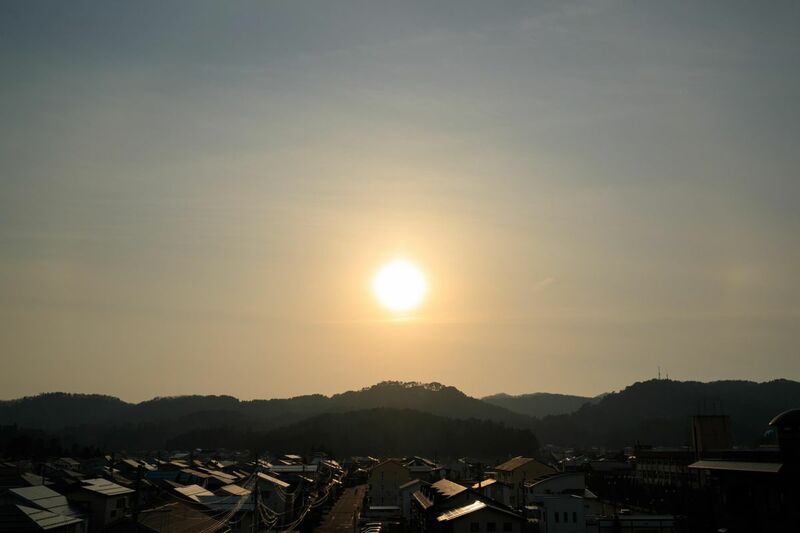 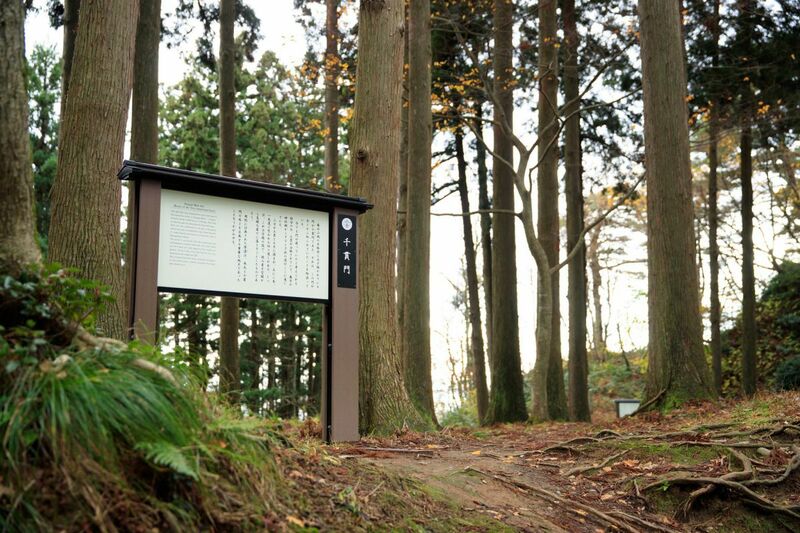 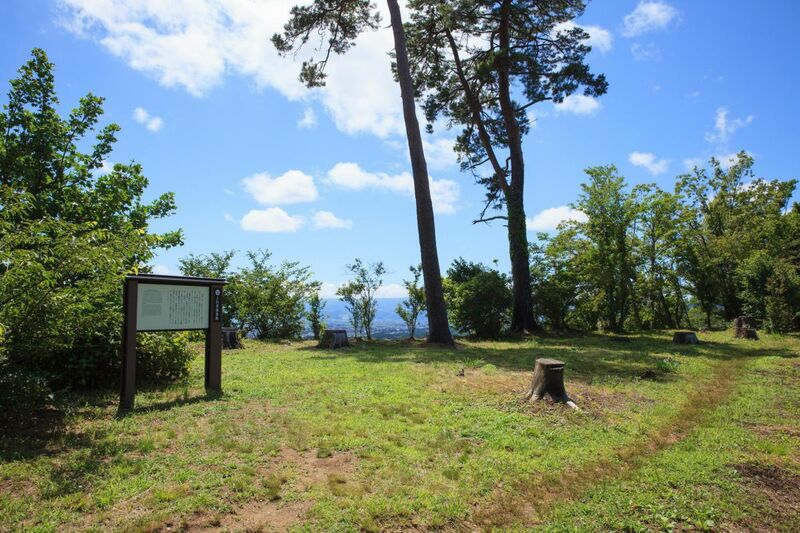 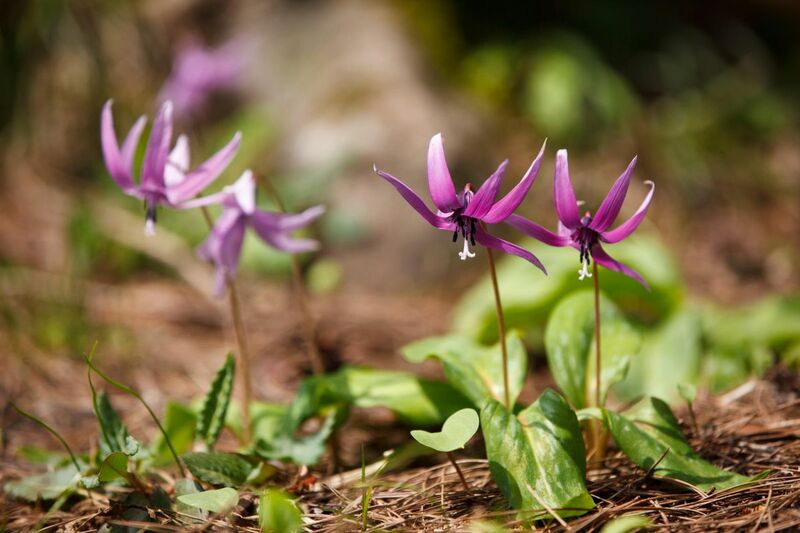 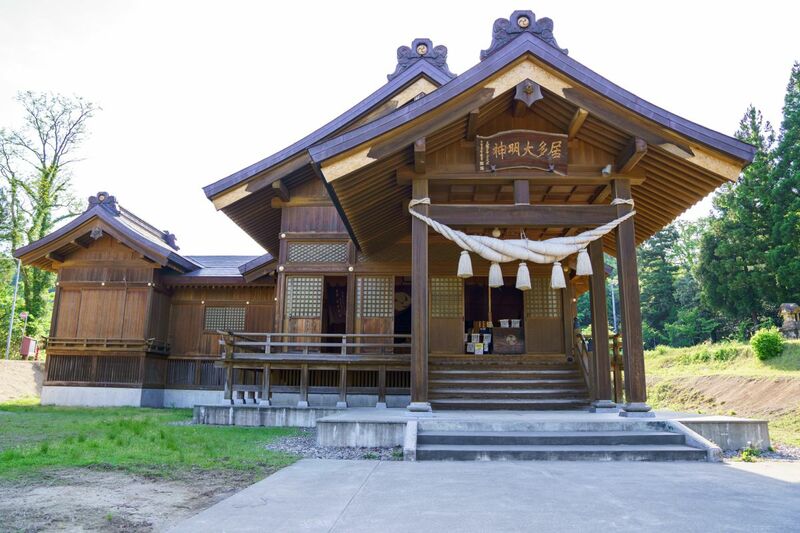 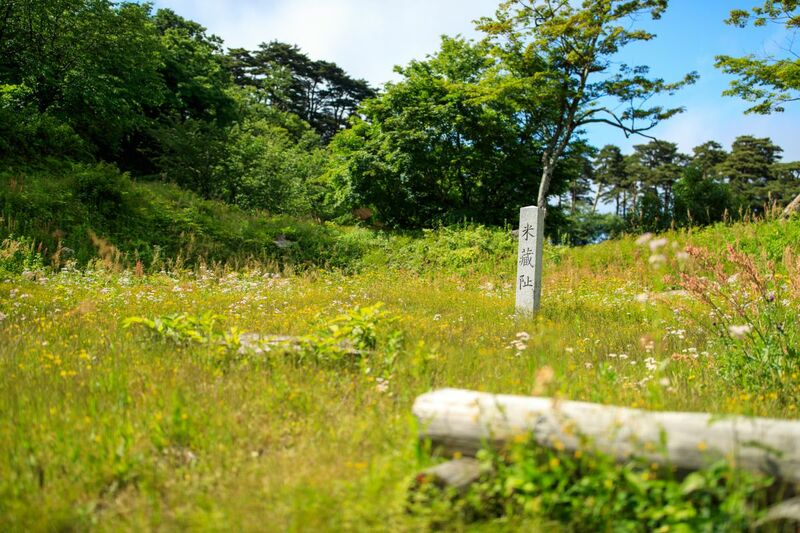 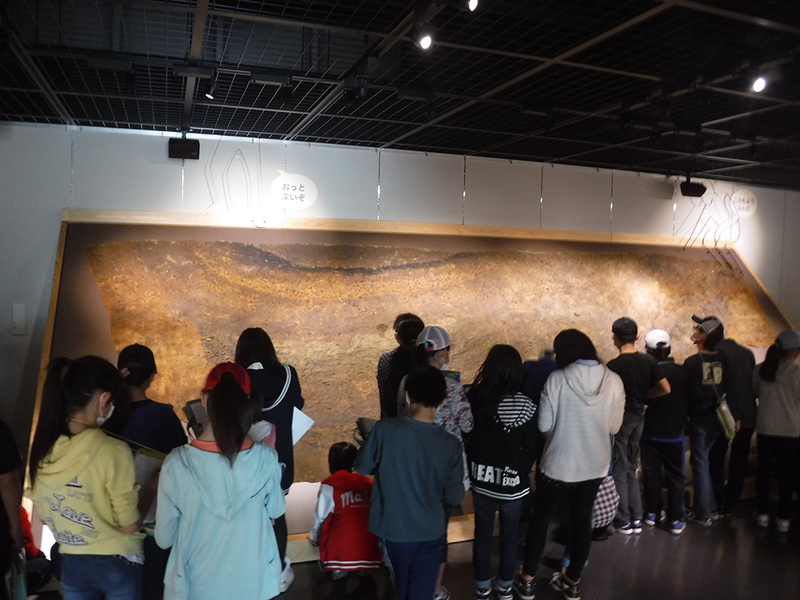 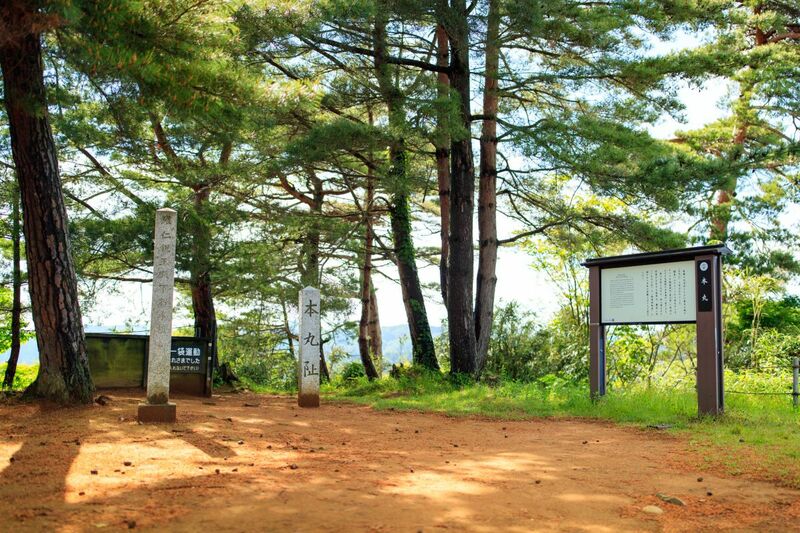 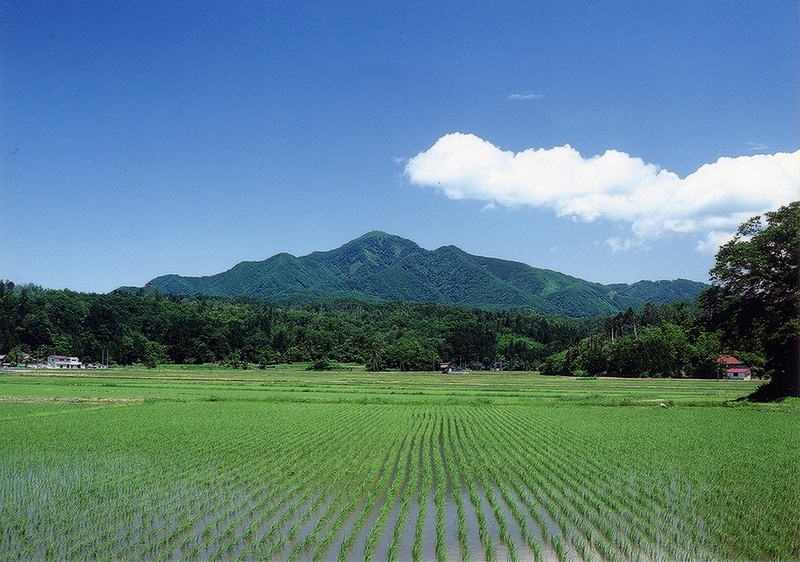 From the inner citade ("Honmaru") at 180 meters, visitors can enjoy a view of the Sea of Japan and the Kubikino Plains, as well as the surrounding mountain ranges. 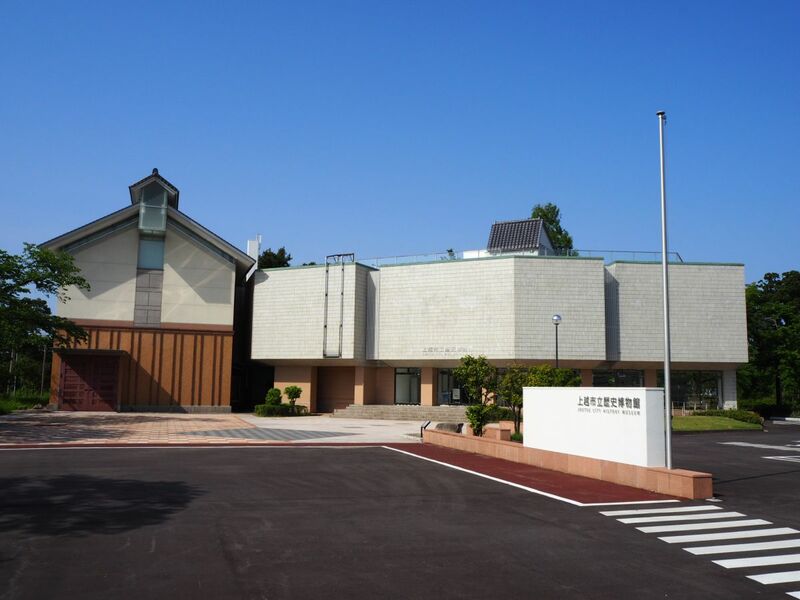 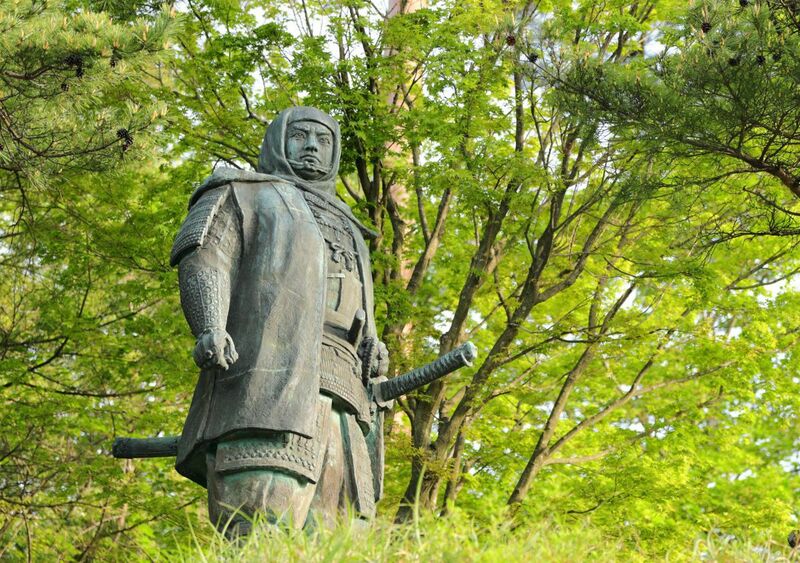 There is also a bronze statue of Uesugi Kenshin, which was produced during the broadcasting of the NHK period drama "Ten to Chi to" (Heaven and Earth) in 1969. 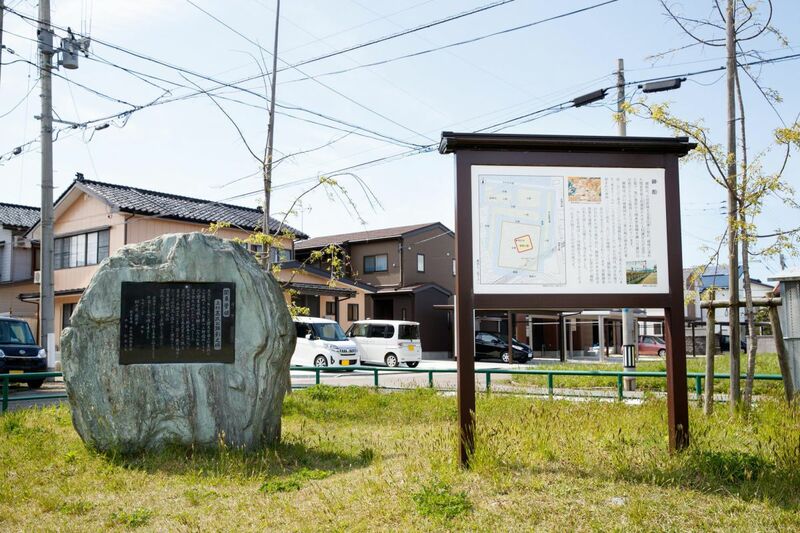 * The position of the bronze statue is shown on the map. 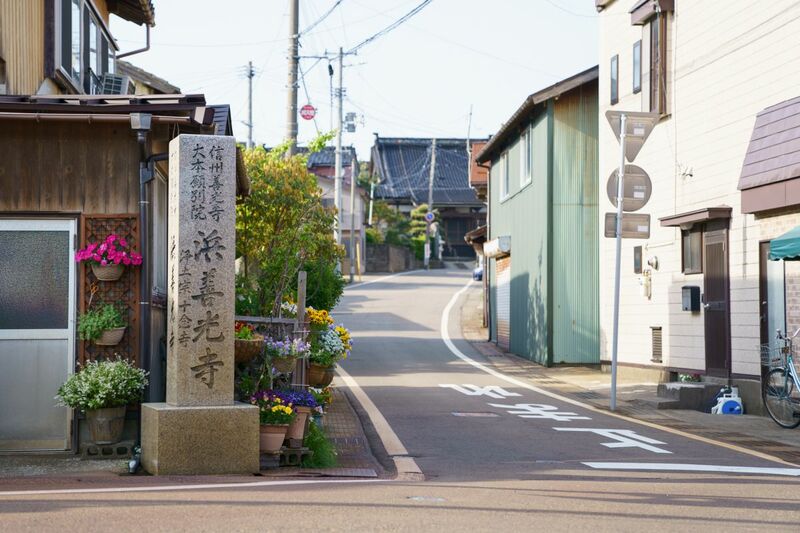 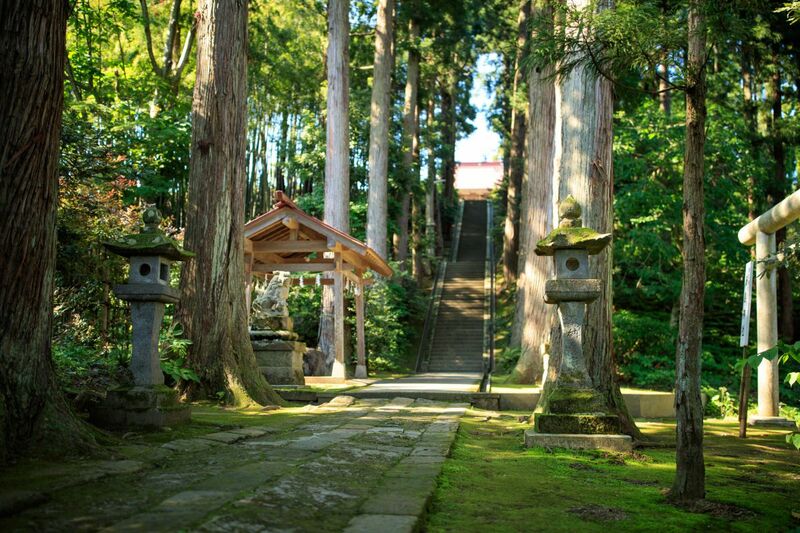 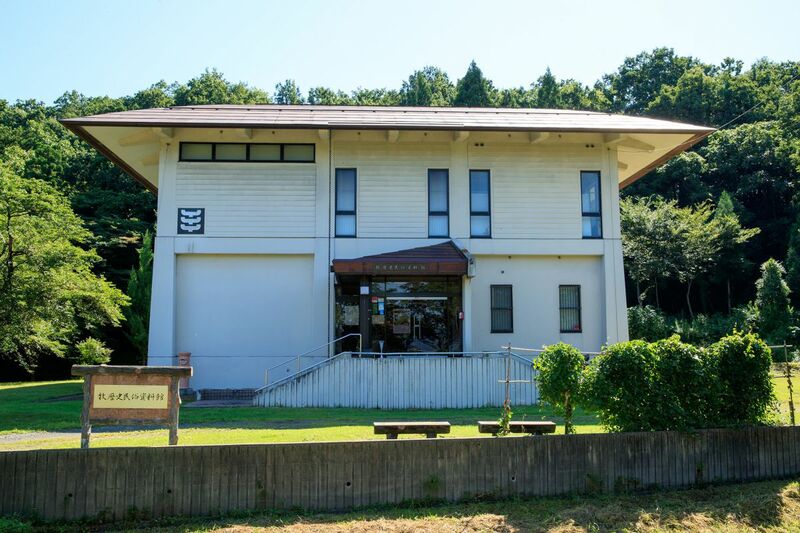 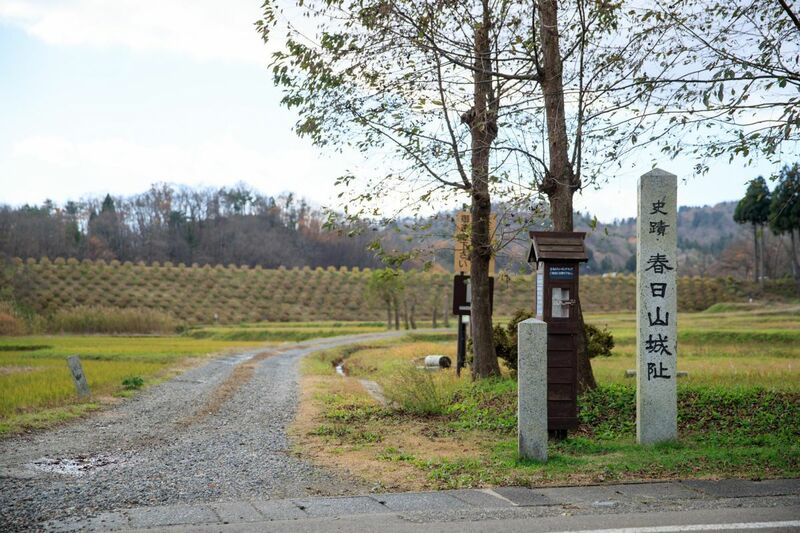 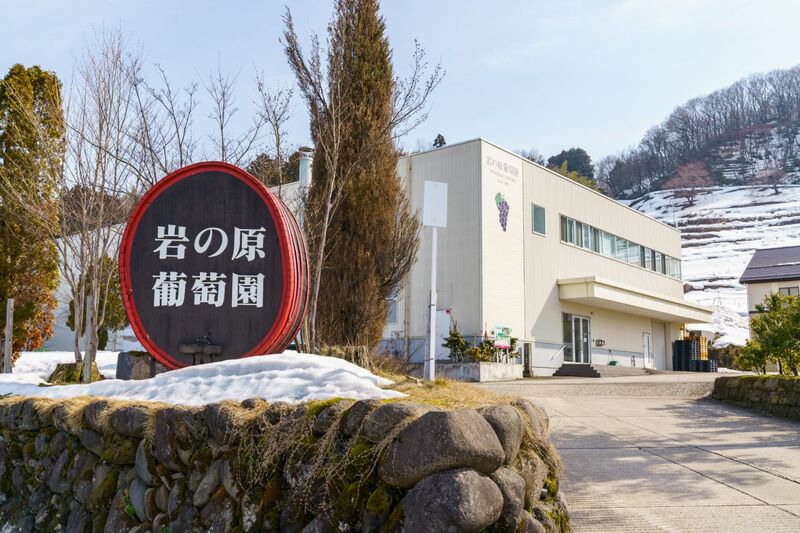 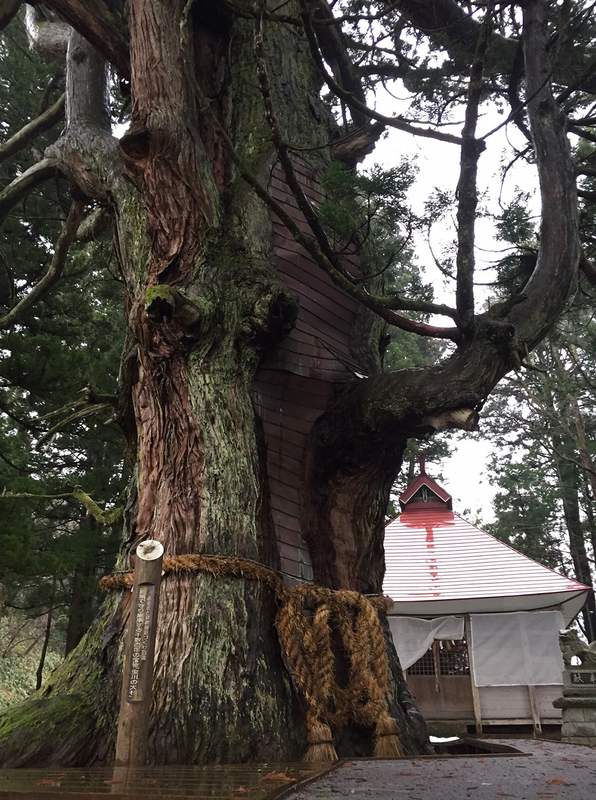 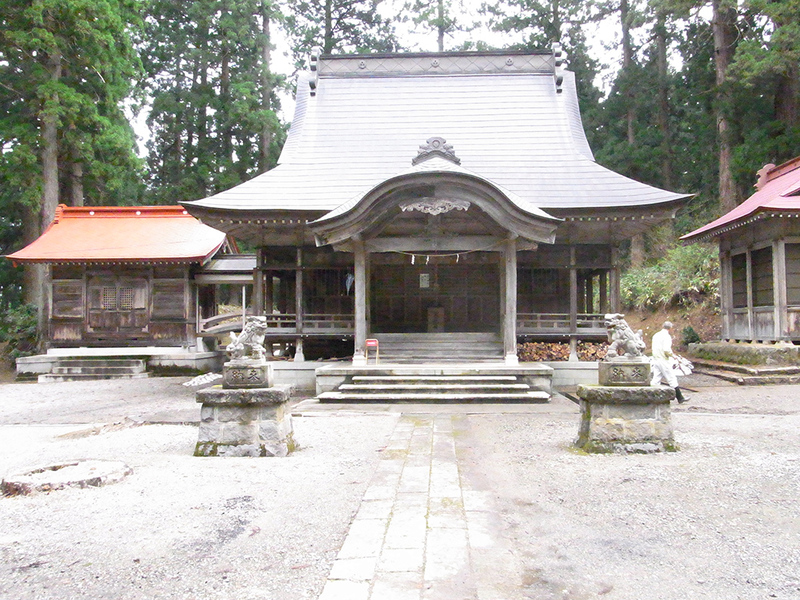 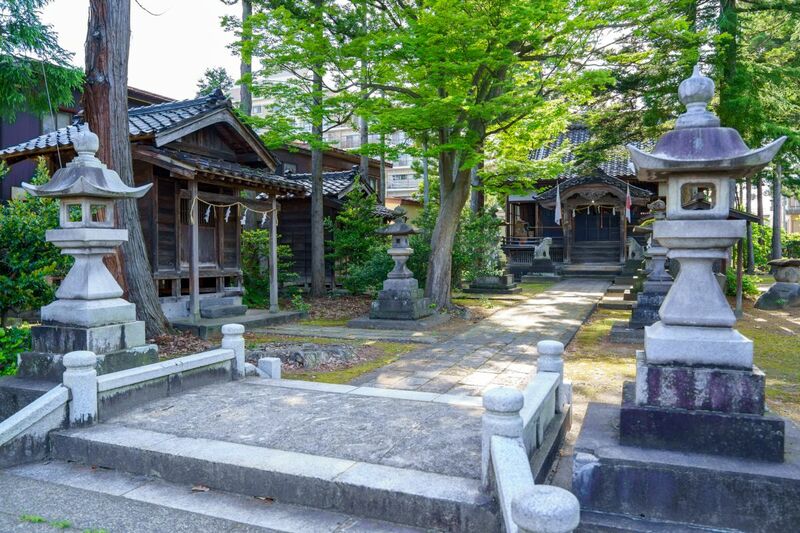 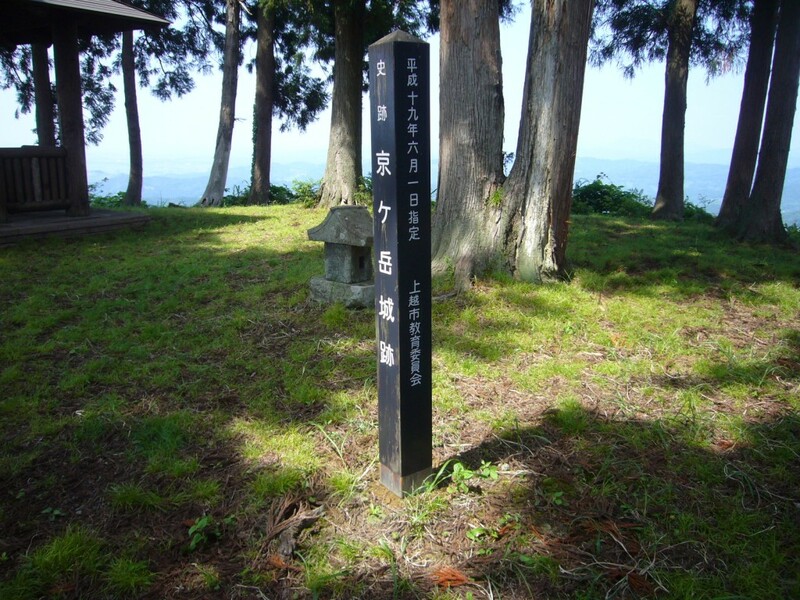 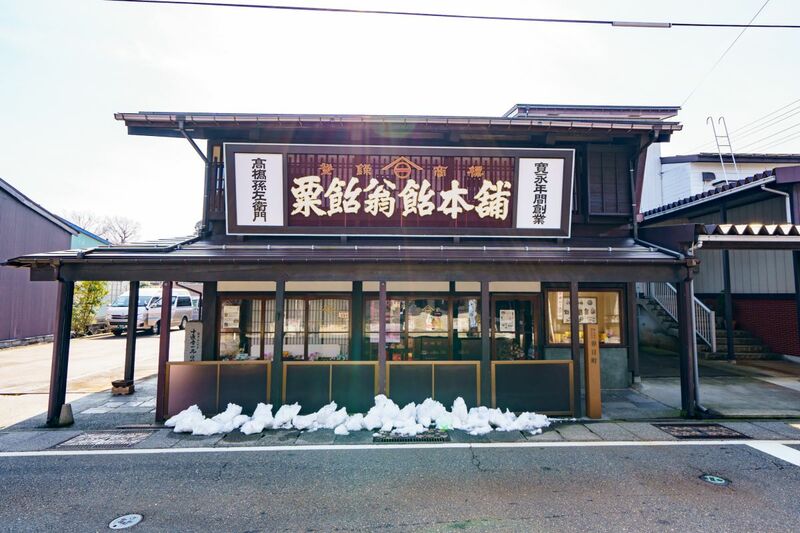 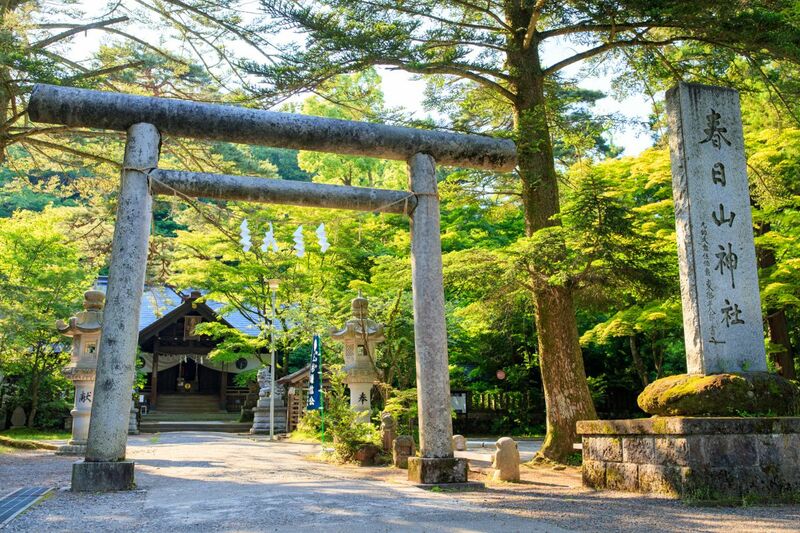 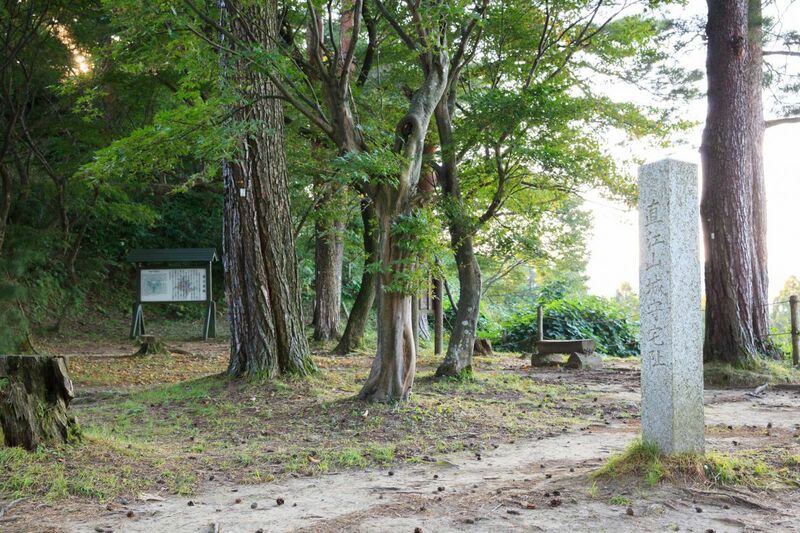 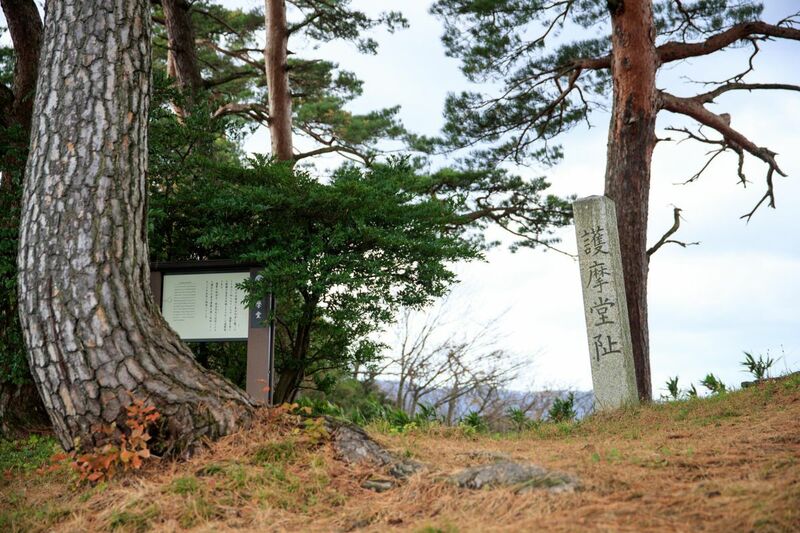 By Tokimeki Tetsudo: 40 minute walk from Kasugayama Station on the Myoko Haneuma Line to the bronze statue of Uesugi Kenshin at Kasugayama Shrine. 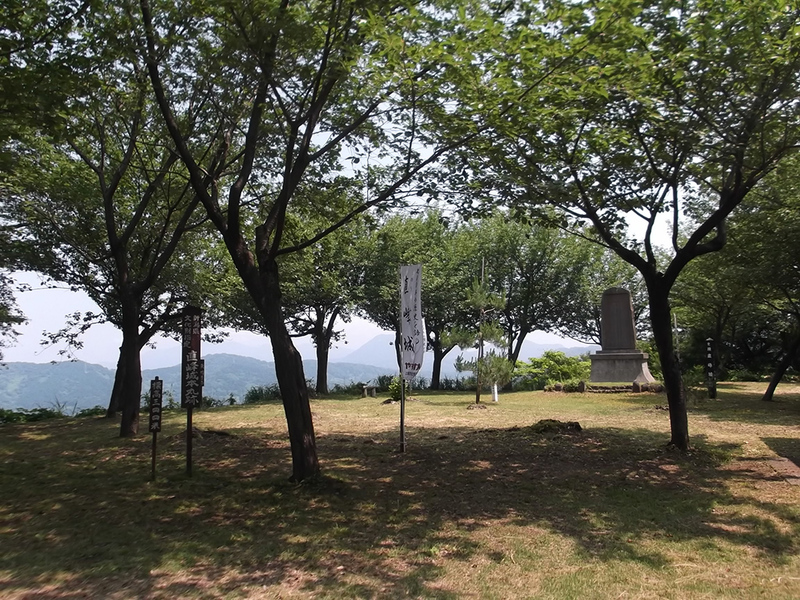 By Kubiki Bus: 20 minutes to the bronze statue from Nakayashiki bus stop. 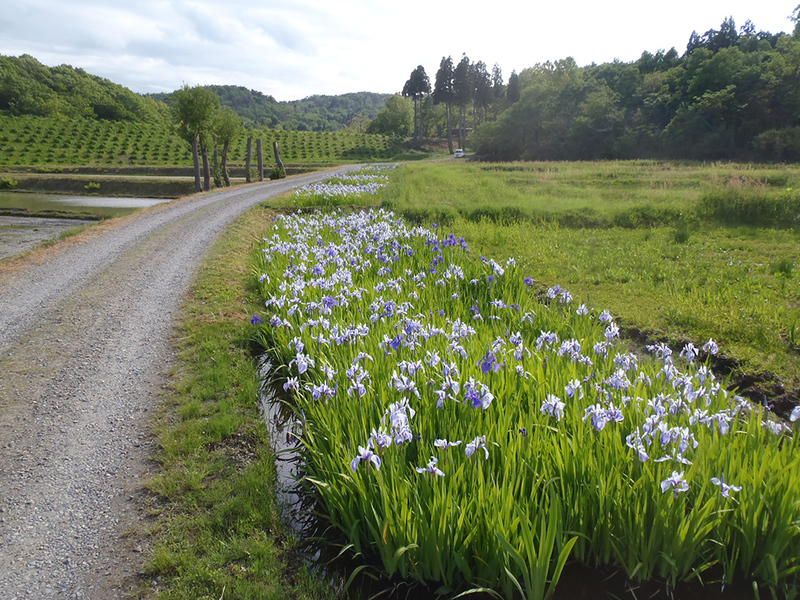 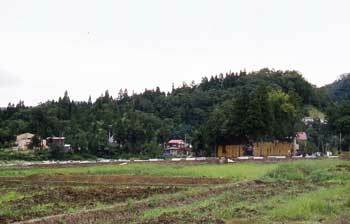 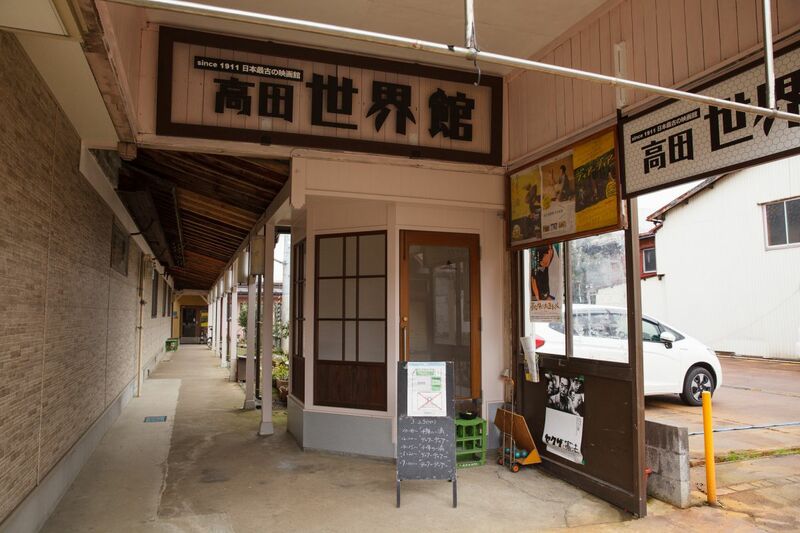 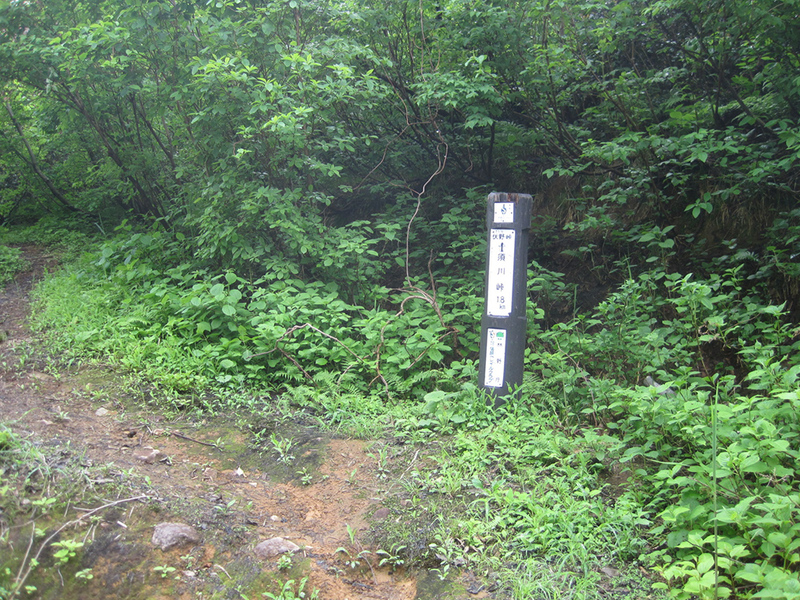 15 minutes from Kasuga Sanso Mae Bus Stop. 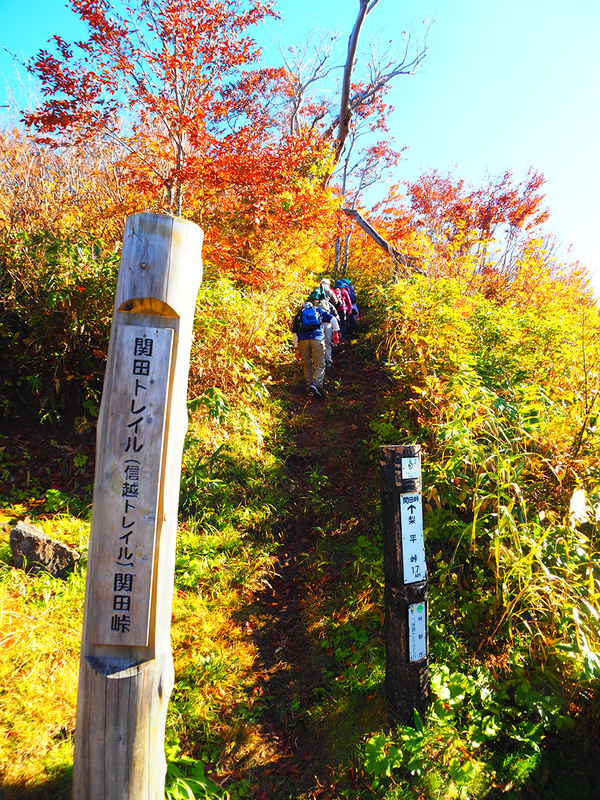 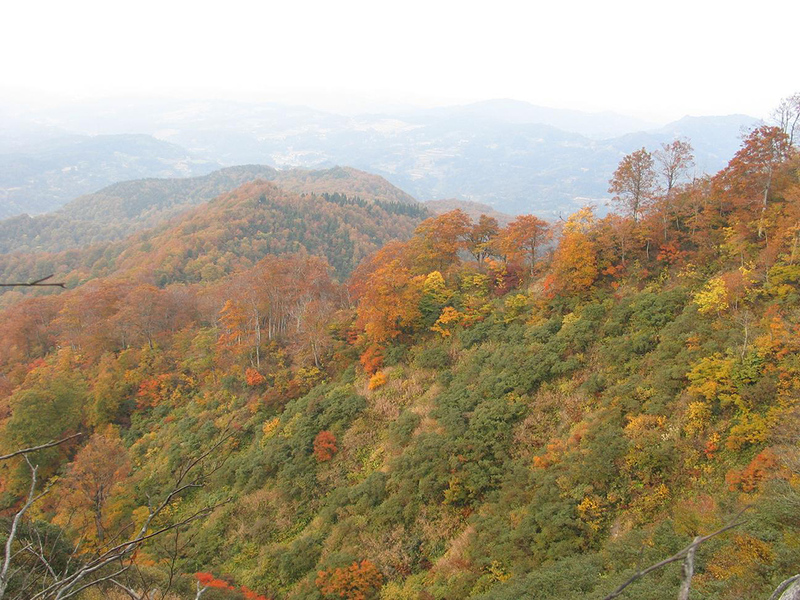 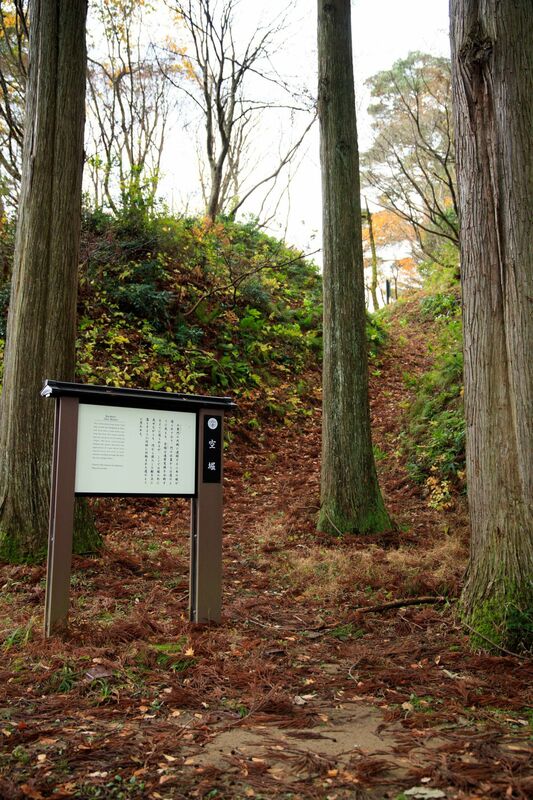 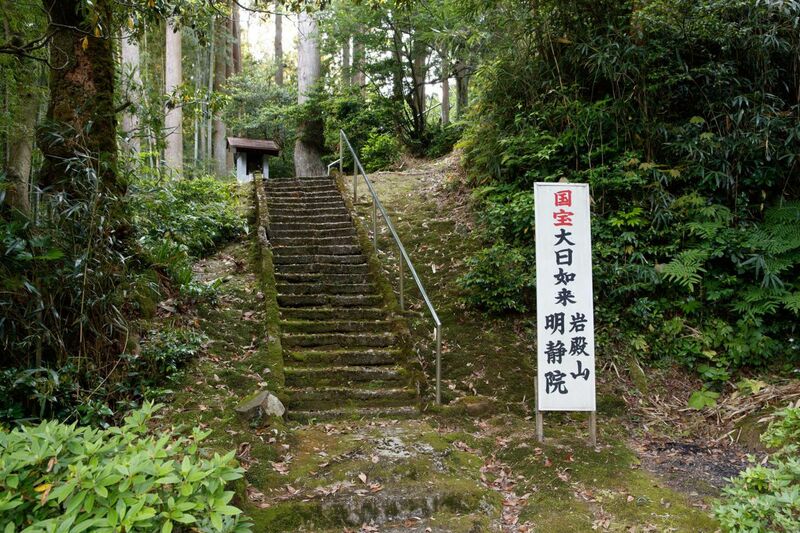 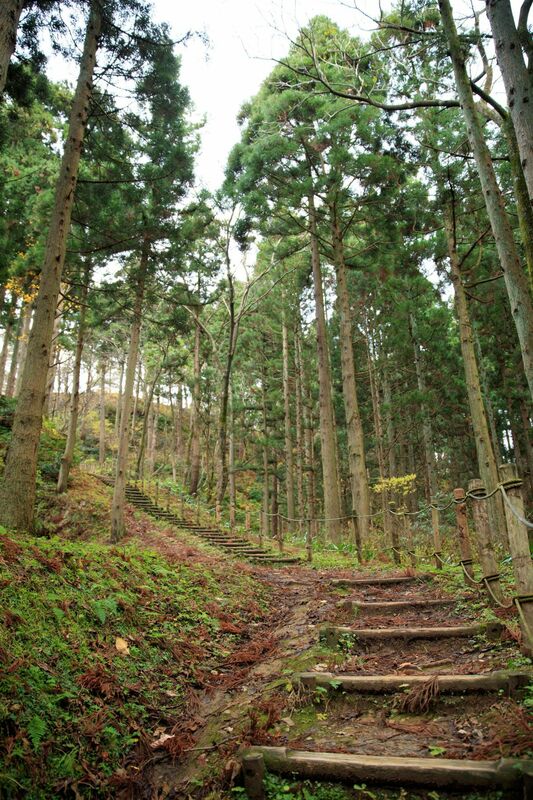 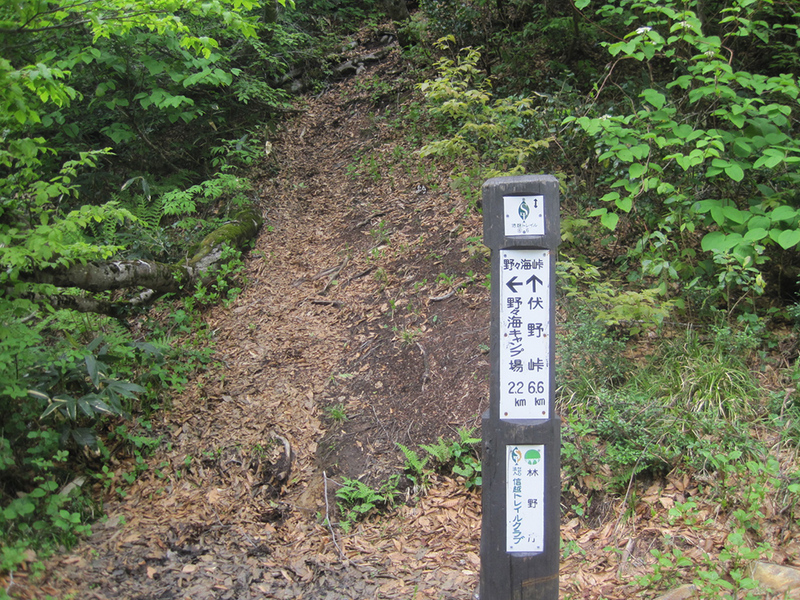 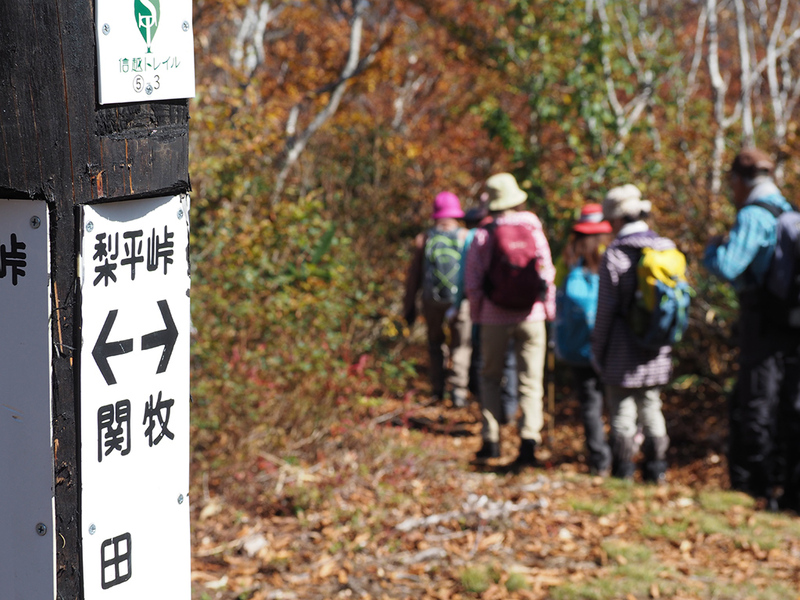 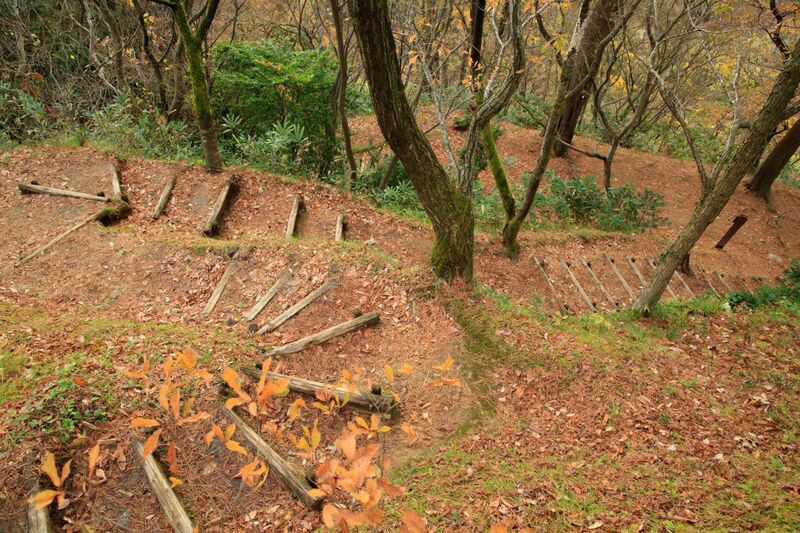 There are several routes up and through the Kasugayama Castle ruins, so time required will vary.